The newest in the line of IPAs named after roadways, this Zythos and Cascade IPA is as tasty as Scenic 98 is eye-pleasing. If you are looking for something a little lower on the ABV scale than our staple IPA, this is your beer. 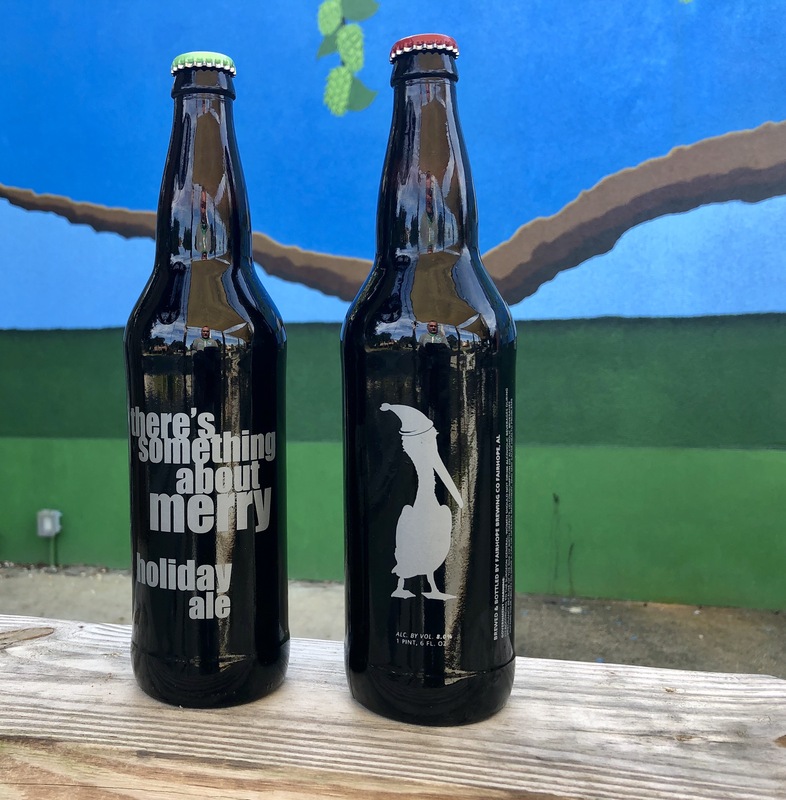 Bringing all the wit flavor you are looking for, this beer offers a refreshing experience that pairs well warm summer weather in Lower Alabama. You know that feeling of attempting an awkward hug? Well, this beer is the opposite of that feeling. We took our imperial porter, Long Handshake, and aged it in bourbon barrels. The result is a malty, oaky, tasty dark beer. This brew is a light and refreshing kolsch-style golden ale. This is that easy drinking boat beer you've been looking for! A malty treat, this Scotch Ale was the first small batch brew from our brewer, Gil, back in 2016. And now it's back! This beer goes down smoothly and has all the richness and subtle smokiness you expect from the style. This beer delivers all the joy and comfort of an actual long handshake. This imperial porter delivers on a heavier body and richer flavor than you get from your average porter. Roasty, malty, and smooth - Long Handshake is a great example of the style and a beer you will thoroughly enjoy. 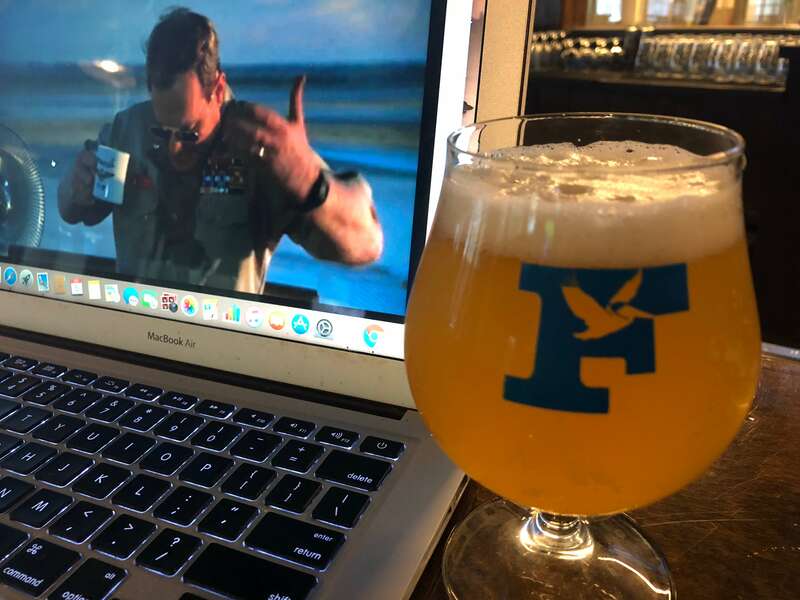 The newest sour in our Top Gun series, Air Boss Johnson is a mango gose that delivers all the salty finish you want from the style with a hint of sweetness from the mango. Just don't spill it on yourself! We started with our Fairhope 51 and added a healthy dose of jalapeños. This beer starts with a great smell of peppers and finishes with a nice touch of spiciness but without any burn. Made for St. Patrick's Day 2019, this red ale is both beautiful and delectable. If you are looking for a bourbon barrel-aged imperial stout with a kick, then Dracarys is the beer for you. We started with the base for Kingslayer and added a heavy dose of Serrano peppers. Don't get burned by this one! Copious amounts of Citra and Simcoe hops are used throughout the brewing process in this American India Pale Ale. From first-wort to bittering, flavor, aroma and dry hops, an artful combination of two extraordinary hops leads to an explosively hoppy finish on the palate. 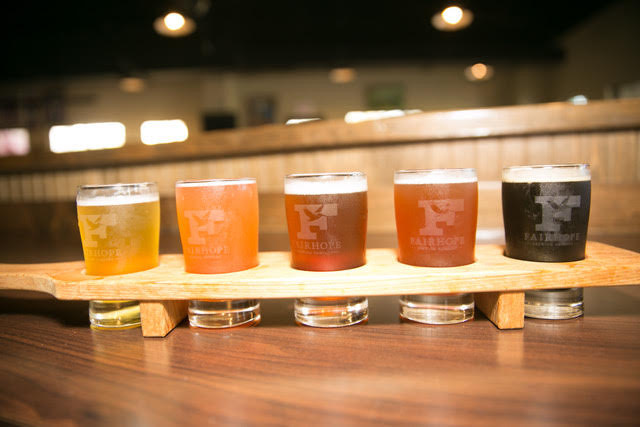 Everyday Ale is made to pair with those gorgeous Eastern Shore days along the bay. Handcrafted with British Maris Otter malt and Kent Golding hops, this well-balanced English-inspired blonde ale packs a lot of flavor into a beer without a lot of alcohol. This New England style double IPA will knock you down to just your socks! Loaded up with a triple dry-hop Mosaic and Hallertau Blanc hops, this hazy IPA is tropcial and smooth. Enjoy! 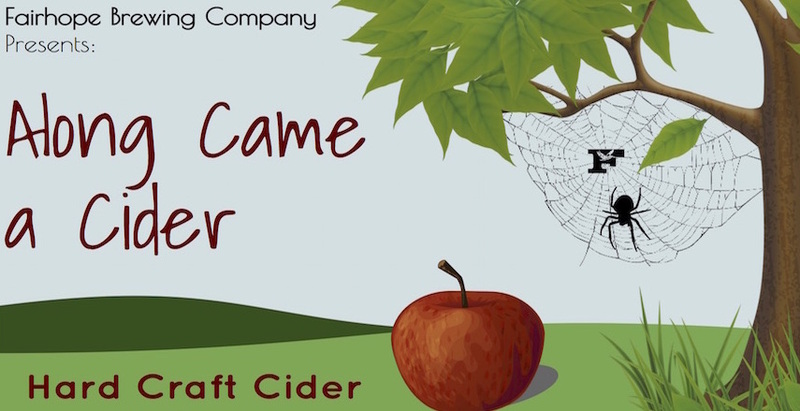 We are always experimenting with our hard apple cider, and this one turned our really nicely. Our current iteration of Along Came A Cider was made with strawberry and lime. It tastes like you would expect it to! This German-style Dunkelweiss, which utilized a decoction mash, fermented at the high end of the suggested range for the yeast, resulting in a deliciously bready concoction full of banana flavors. This dry Irish stout was brewed specifically for St. Patrick's Day 2019. This rich, dark imperial stout is the perfect beer for cooler weather. With a robust grain bill, this smoky stout has all the malty greatness you expect form the style. Come try one out before the Mad King drinks it all! A double IPA aged in a chardonnay barrel before dry-hopping, made to celebrate the passage of the bill that allowed breweries to sell beer for off-premise consumption. 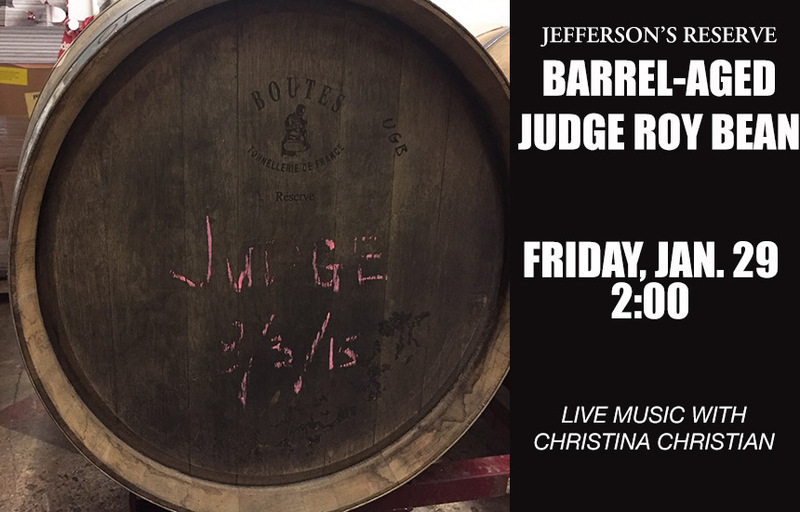 We took our already delicious coffee stout and aged it in a Jefferson's Reserve bourbon barrel. We only have 15 gallons of this guy, so get it while you can. And special thanks to Xavier for hooking us up! 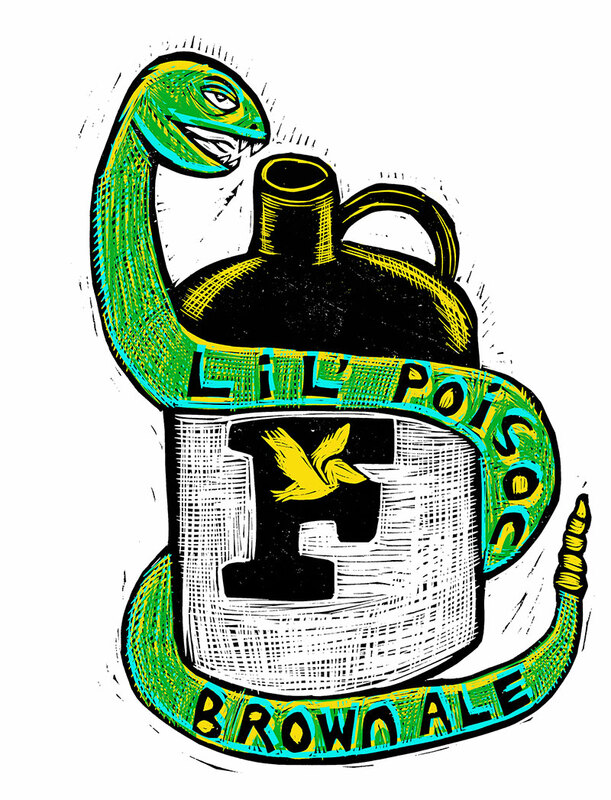 When we first debuted Lil Poison Brown Ale to commemorate local musician Grayson Capps' first appearance at the brewery, we had just 10 gallons of the delicious nectar, and it was game within an hour and a half. Needless to say, it was quite a party, with a surprise appearance from local songwriting legend Will Kimbrough and a poster designed by Mississippi-based printmaker Sean Starwars to mark the occasion. 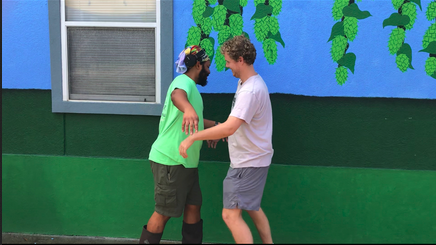 A few months later, we invited Grayson - now dubbed our first brewsician collaborator - back to add four pounds of hops to a big batch of Lil Poison, which would become our first Mardi Gras seasonal release. 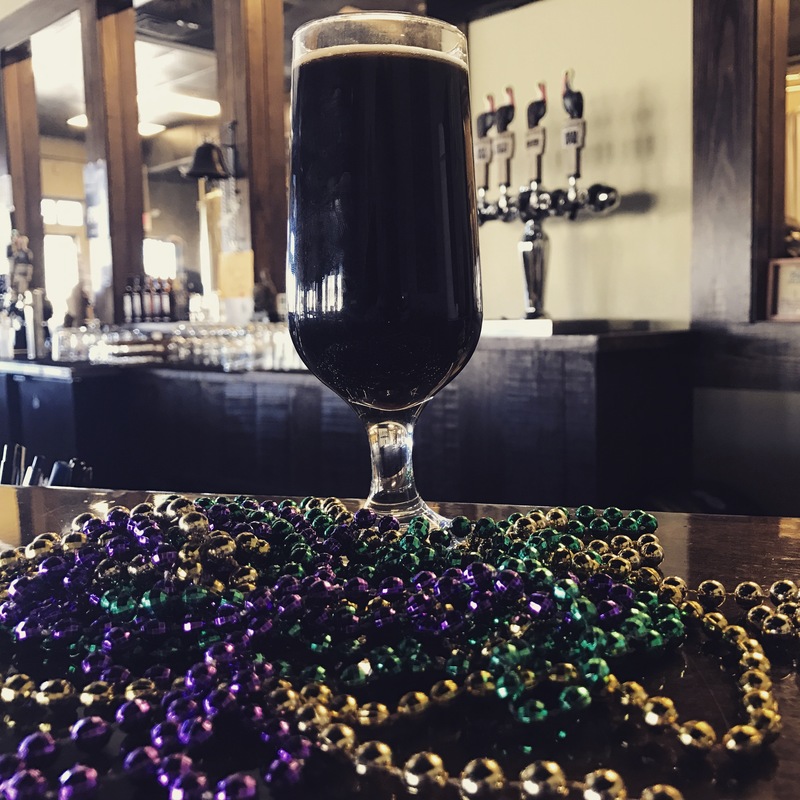 This rich, malty American Brown Ale, which weighs in at 6.3 percent alcohol by volume (ABV), parties its way through Fat Tuesday both in the taproom and at Lower Alabama's finer drinking establishments. Our first ever lager: an easy-drinking, slightly hoppy beer that's perfect for the tailgate. 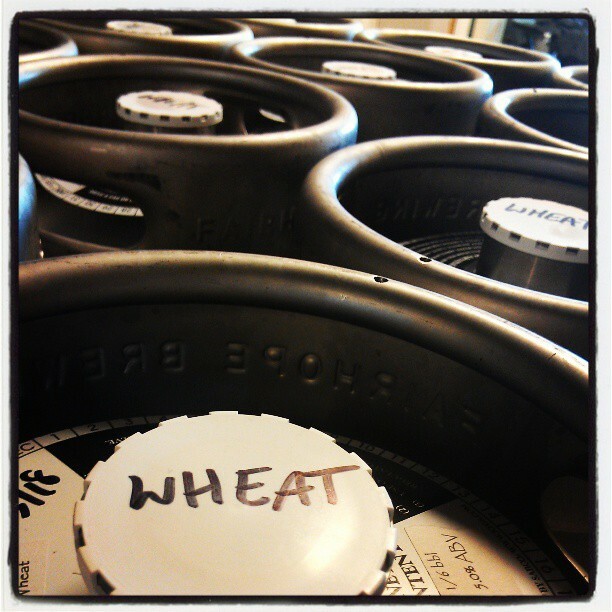 This one is quite simple... we took our base wheat beer and added a bunch of hurricane mix. The result is a drink that is perfect for the Mardi Gras season. Laissez les bons temps rouler! 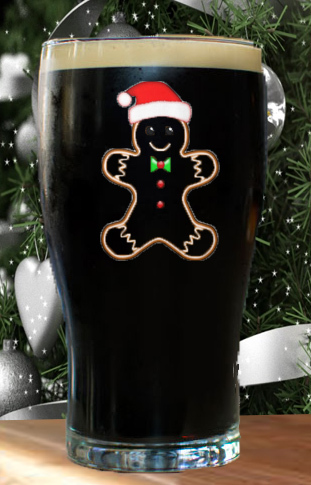 A sweet spiced stout that tastes like biting into a gingerbread cookie. Be sure to ask your bartender for an icing rim around your glass -- JUST KIDDING! Merry Christmas! 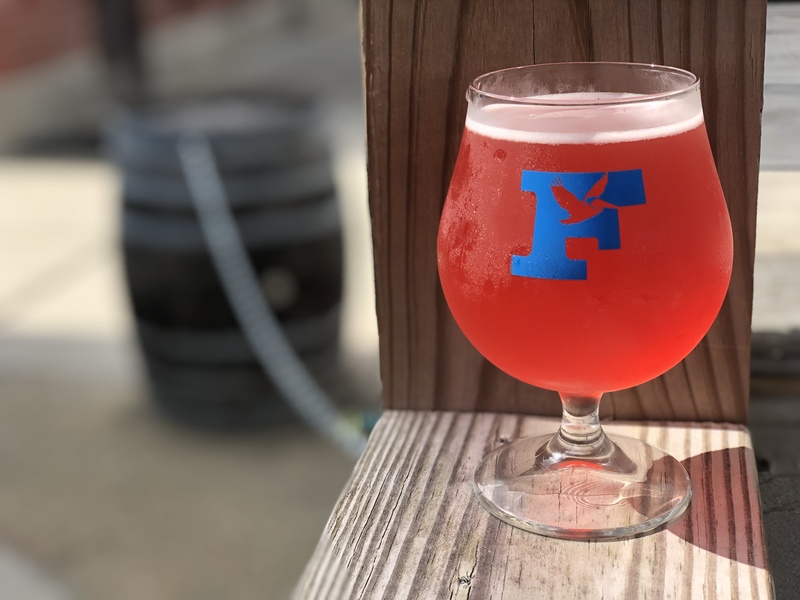 A raspberry-flavored wheat beer, half of the proceeds of sales of this German style beer are going to Camp Rap-A-Hope to benefit children with cancer. This light and refreshing beer puts our own American twist on a traditional German hefeweizen. And it's still the undisputed champ! French Quarter Porter is a traditional English Brown Porter, brewed in the post-prohibition style with 27 lbs. of wildflower honey from Kittrell's Daydream Apiary in Fairhope. Traditional East Kent Golding Hops balance out the rich, chocolate malts, creating the perfect brew for the cooler months in Lower Alabama. When we brewed batch No. 51 here at the brewery, we knew we had to mark the occasion beyond simply brewing another batch of fresh pale ale. So Dan invited his buddy Shank from Grayton Beer Co. to come over and help out on a special 51 brew day. They pulled 7 gallons of starting wort from a full batch of 51 and used it in place of water to mash into a 10-gallon small batch of regular 51 on the Brew Magic pilot system. The result was a massively high starting gravity and a beer that's quite different from its namesake. 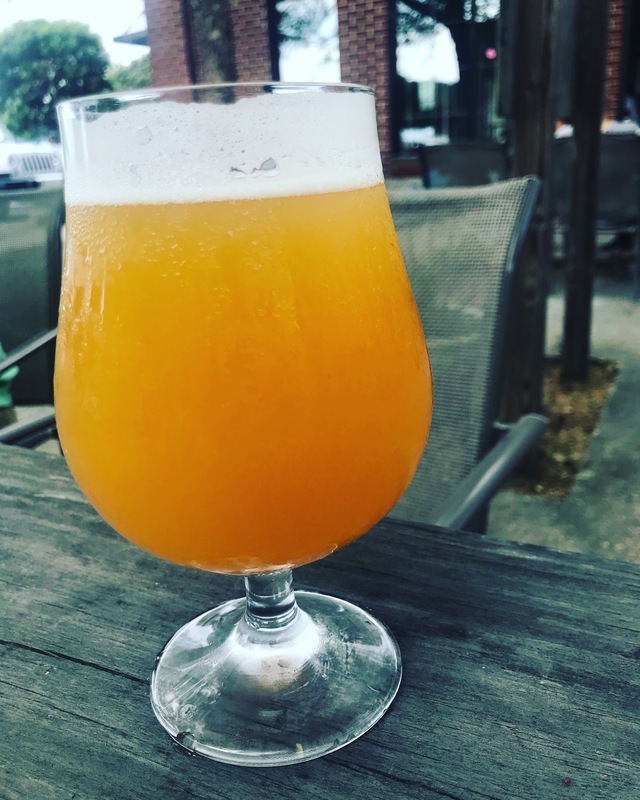 Dan brewed 10 gallons of this crisp, refreshing Belgian Single for his mom to drink on her annual Mother's Day visit to Lower Alabama. Late-boil Citra hops and a Belgian high-gravity yeast strain combine to make a distinctive Belgian-syle brew that goes great with a lemon. 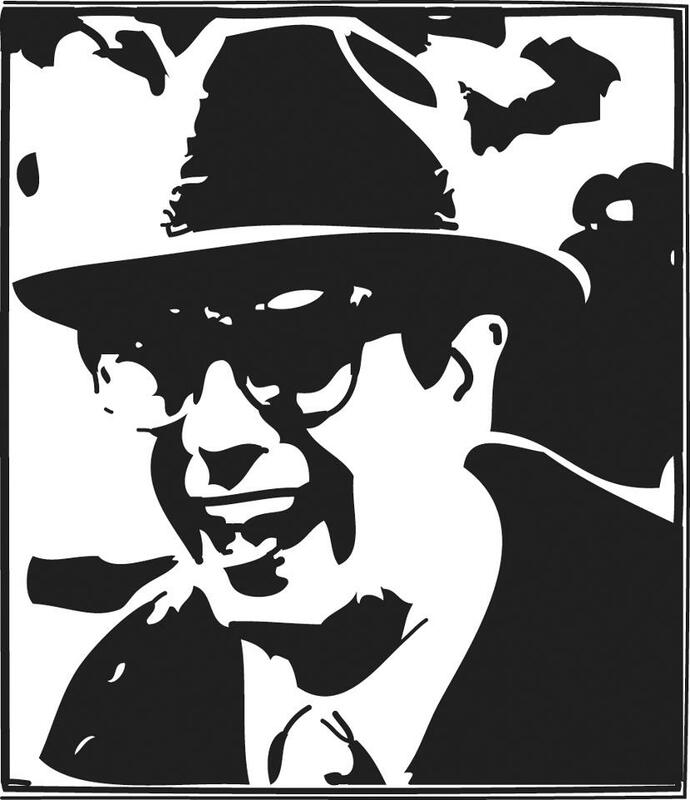 This rye IPA, featuring a hefty dose of New Zealand Nelson Sauvin hops, was brewed to honor the brewery's favorite insurance salesman and served for one day only... unless there's no tomorrow; there wasn't one today. Served Feb. 2, 2013. BING! A stout with spices added for extra depth. This decadent brew was released the day we hosted the Grateful Dead tribute band The Stolen Faces, and its name, therefore, pays tribute to the Dead song Uncle John's Band. Our second collaboration with the Underhill Family Orchestra, our goal with this smoked porter was to give it as much character and complexity as the band. We partnered with the Weeks Bay Foundation to brew the perfect beer for their Bald Eagle Bash fundraiser. The result was a wheat beer made with a large amount of blueberry puree. This beer has a great fruit flavor and is very refreshing on a warm day. 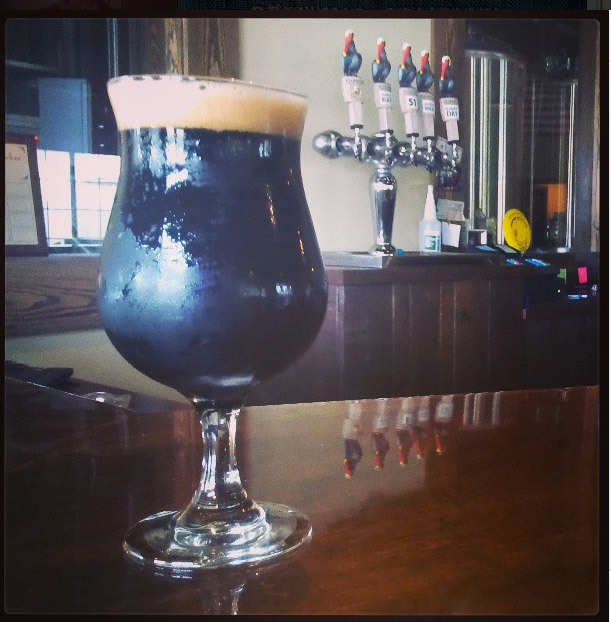 Our Merry Widows Imperial Stout that has been aged in a port wine barrel for five months. We held a Home Brew Competition in November, and the "judges pick" got to brew his beer on our 10-bbl system. This beer is the result, as Christian Waara was our winner with his smooth-drinking brown ale. It's name in honor of his dog that passed away not too long ago. So come enjoy a brew and honor a four-legged friend! A farmhouse ale brewed with copious amounts of basil providing huge aromatics and smooth herb flavor, complemented by the French Saison yeast strain that finishes off the beer with a subtle peppery finish. This refreshing beer was the last recipe Tim ever home-brewed. 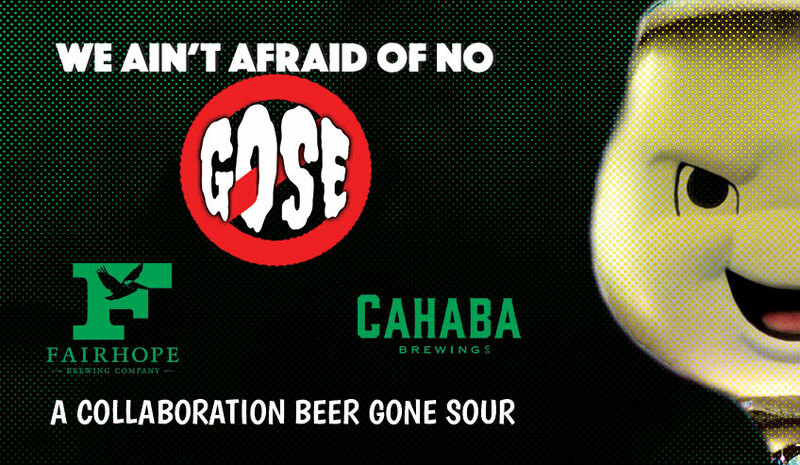 Carole, aka Goose's wife, is our latest entry into our sour series. This brew is a golden sour with orange and ginger. If you are looking for a great tart flavor with orange up front and ginger on the finish, then this is the sour ale for you. 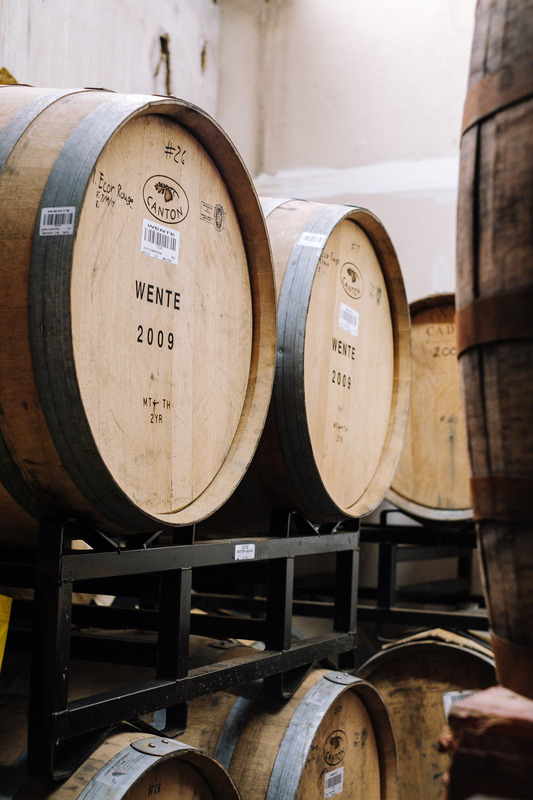 We filled four port wine barrels with our signature pale ale, infused each barrel with brettanomyces, and left it alone to age for a year. The barrels were then blended back together to produce a slightly tart flavor with delicate fruity notes. Made with our friends from Flow Tribe, this extra spicy pale ale has as much jump and jive as the band! 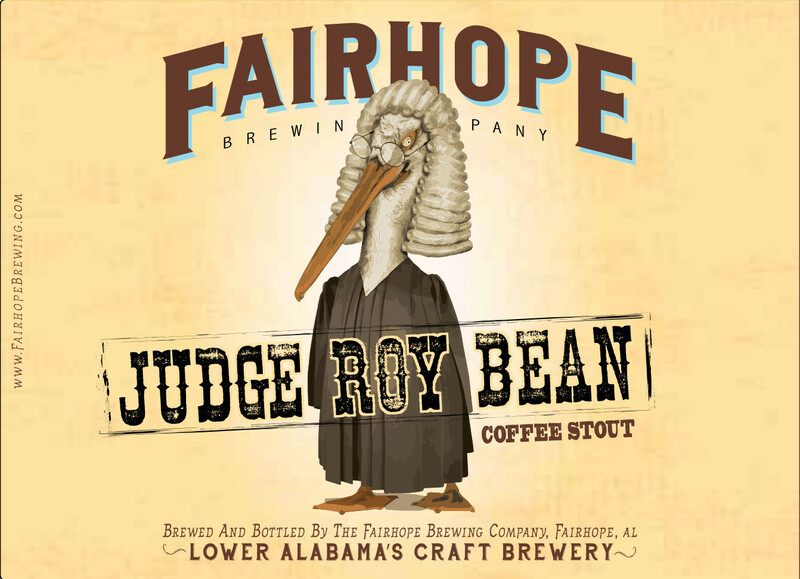 We took our famous Judge Roy Bean Coffee Stout and infused it with coconut to add a little something else. Our second Brewsician Collaboration brought our friends from Mobile's Underhill Family Orchestra across the Bay for a brew day on the small-batch pilot system in front of the brewery. The beer, a porter with a distinct smoky flavor from the use of Beechwood smoked malts, was a big hit among both the band and the eager crowd. Imagine an India Pale Ale full of the tropical citrus hop aroma and flavor you've come to love in your favorite IPAs. Now imagine it with just 4.2% alcohol by volume. That's the beauty of Beach Day IPA, our session IPA hopped with plastic beach buckets full of Galaxy, Centennial, Mosaic and Citra hops, and featuring a healthy bitterness and a malt profile that emphasizes the distinct flavor of Canadian Honey Malt. 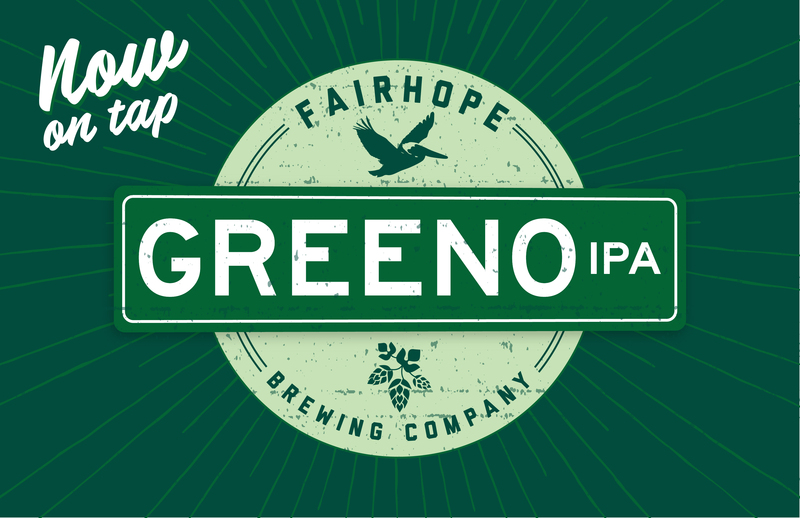 Greeno is a very juicy IPA loaded up with one of our favorite hop varieties... Nelson Sauvin. 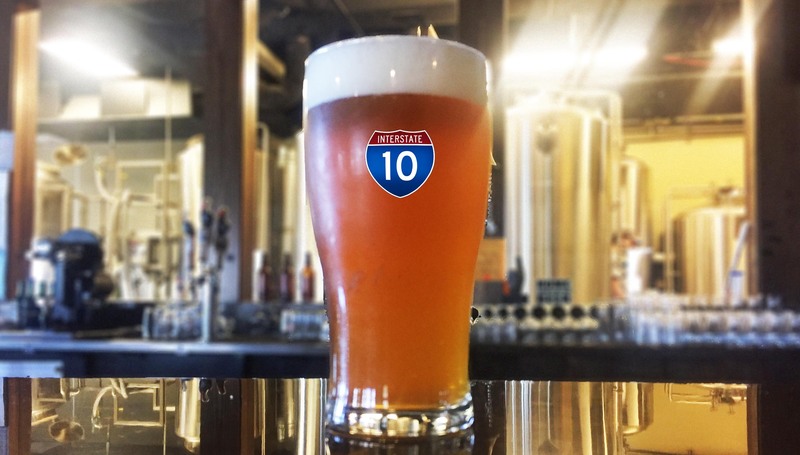 This IPA stacks up tremendously with all the other road-inspired IPAs we've made (see: Causeway, Bayway, Scenic 98), and the hop profile will keep you smiling for 16 ounces worth. 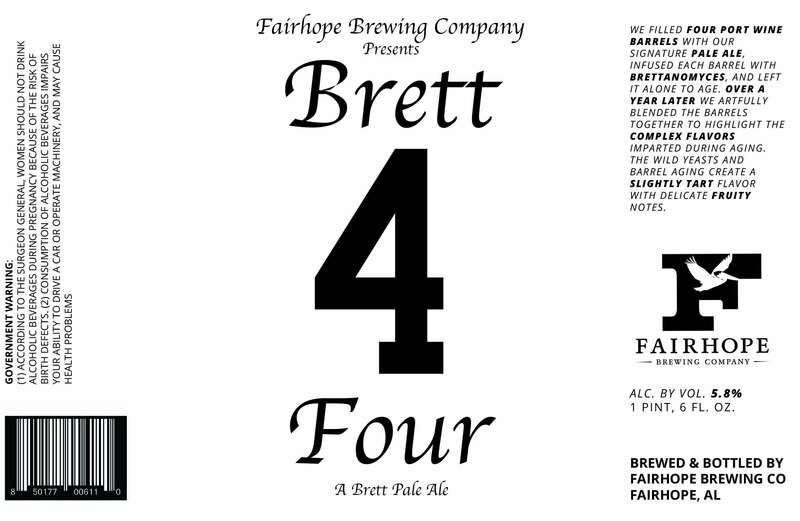 This is our first effort at a Belgian quad, and we named it after our favorite Belgian actor! This big beer has a dry fruity nose and a slightly peppery finish, as well as that solid maltiness you would expect from the style. A sour golden ale flavored with natural passion fruit and hibiscus. We took one of our tried and true German wheat beer recipes and added a whole bunch of blackberry. The result is this refreshingly fruity brew that pours with a fun purple hue. A cranberry cider that's not too sweet, not too tart, and just strong enough to keep you warm this holiday season. A classic American west coast style IPA loaded with Amarillo, Chinook, and Citra hops. 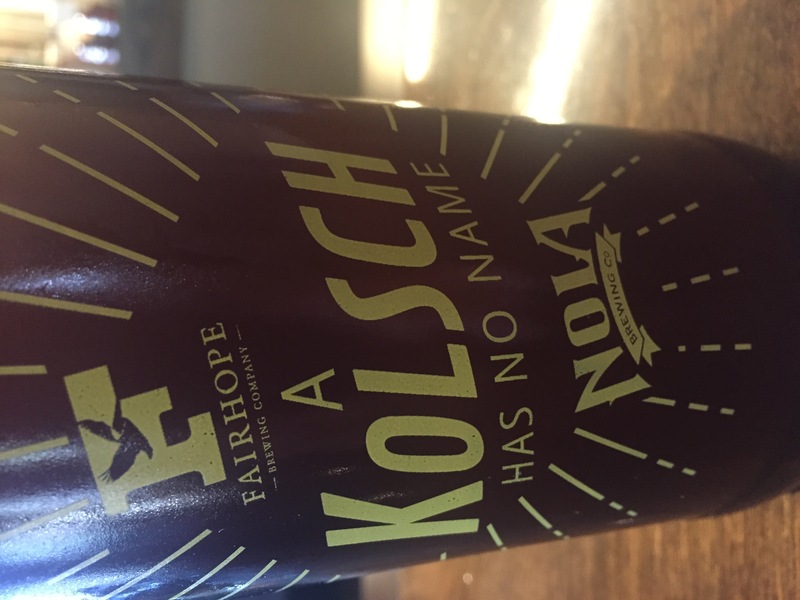 This collaboration with NOLA Brewing Company is inspired by the German kolsch style, but we have added some distinctively American hops to the party -- like Citra -- to give it an entirely new complexion. We brewed this imperial stout as an homage to our favorite throw during one of our favorite times of the year! This big beer is perfect for the Mardi Gras season, with the notes of vanilla really smoothing out this tasty brew. 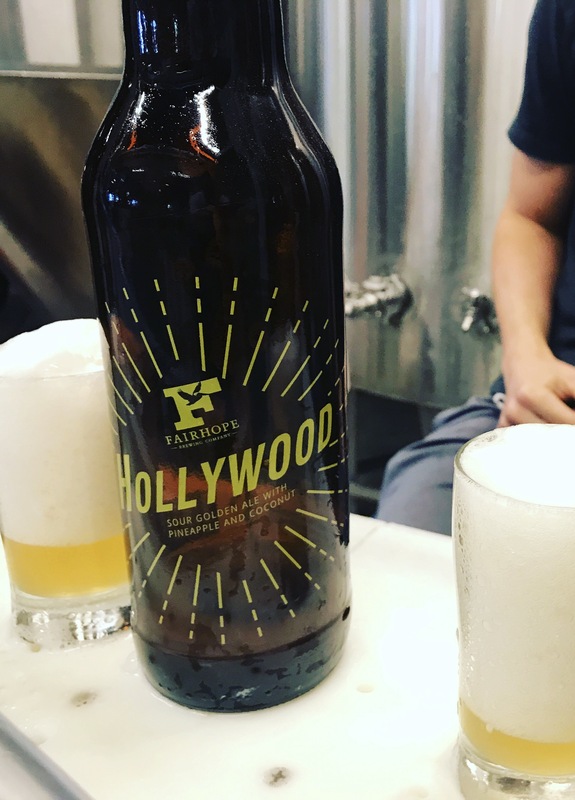 Hollywood is a golden sour with coconut and pineapple. The pineapple gvies this kettle-soured beer a great tartness, while the coconut brings a smooth, clean finish. The perfect beer for the start of summer. 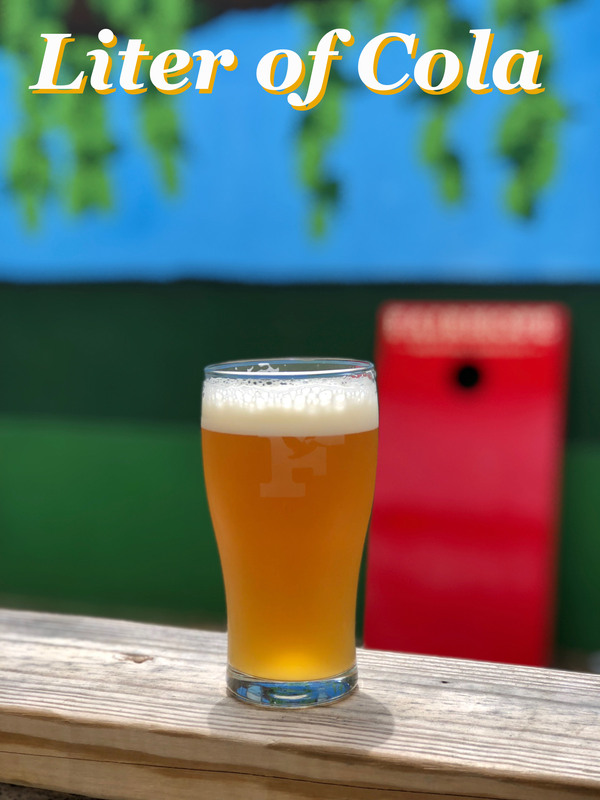 We teamed up with Mobile Baykeeper to brew this very hoppy session IPA that is great for summer! 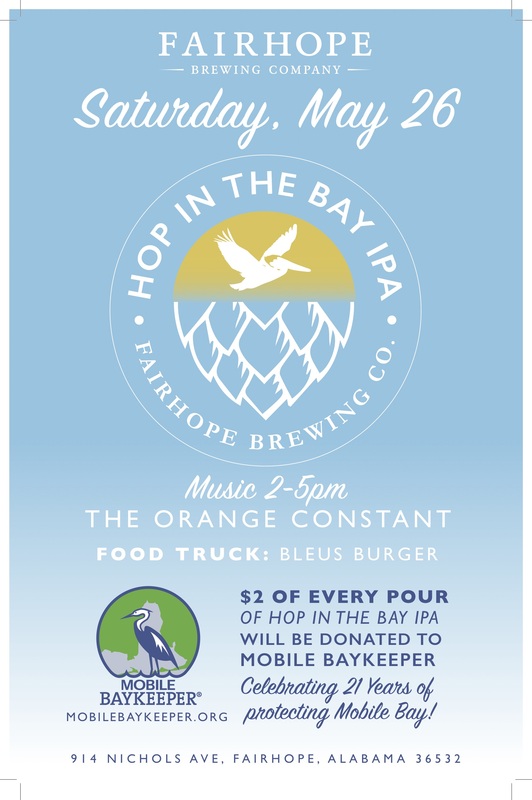 Plus, $1 of each pour of this beer in the taproom goes to support all that Mobile Baykeeper does in our community. This Bohemian pilsner is all you look for in a great lager: clean, refreshing, crisp. If you like this beer as much as the FBC crew likes the movie "Club Dread," then this beer will move very quickly! We brewed this Russian Imperial Stout to honor the legendary Joe Cain, Mobile's savior of Mardi Gras, and the women who love him, his Merry Widows. Each year on the Sunday before Mardi Gras, they gather at Joe's grave to mourn his passing, and we hope this namesake beer makes that mourning just a little easier as they toss black roses and beads from Joe's eternal resting place. 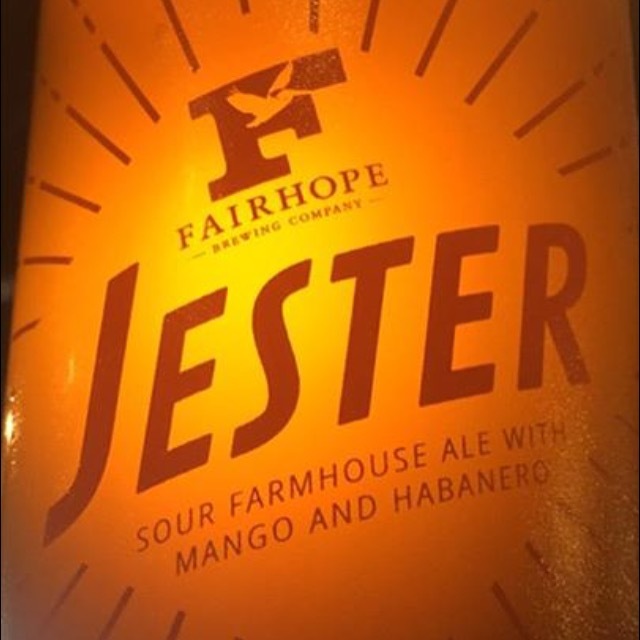 Our line of sours just keeps on rolling, this time with Jester. This kettle-soured golden ale goes in a new direction for us, as it's flavored with mango and habanero. And the heat is no laughing matter! This Belgian style saison is a very refreshing farmhouse ale with clove and pepper notes in the finish. And the name honors Super Troopers hero Farva and his hopes to one day buy a million dollar car. 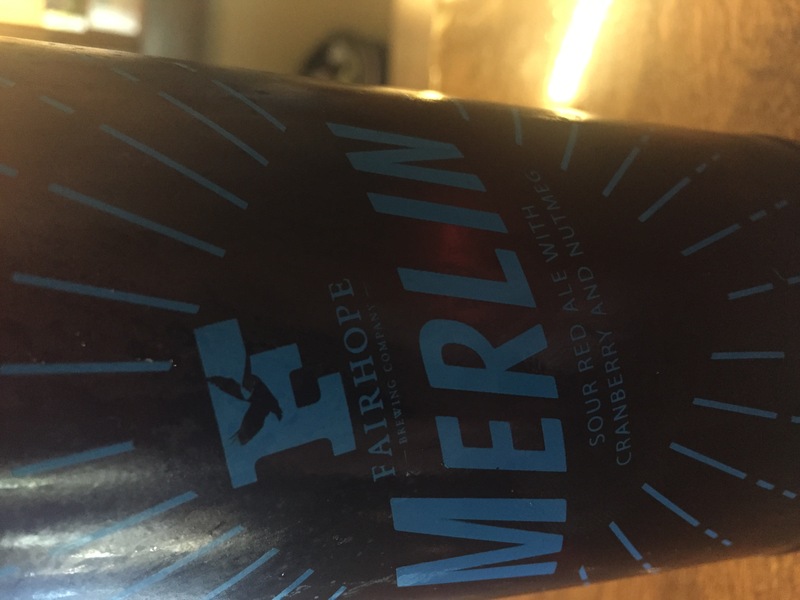 A sour red ale flavored with cranberry and nutmeg. If it's named after a street, then you know it's an IPA! We went for the hazy, New England style IPA on this one, and the results will please you. This brew has a great hop aroma and a juicy hop flavor. Don't go the wrong way... come try a glass and see what you think! Duke is a kettle-soured hoppy golden ale. This is our first attempt at this style, and we expect many more to come after the way this one turned out! If you liked De La Mare, then you are going to love Dauphin. This hazy IPA is packed full of the juicy hop flavor you are looking for without being overly bitter. We loaded this beer up with obscene amounts of Citra, Belma, Mandarina, and Idaho 7 hops. The result is fantastic. El Guavo marks the first time we have used guava in a beer, as we bring you a guava IPA. It's got the hoppiness up front you expect from an IPA, but the finish is smooth due to the addition of the guava. Our Spring seasonal is dedicated to our dogs, all of whom were rescued from shelters. 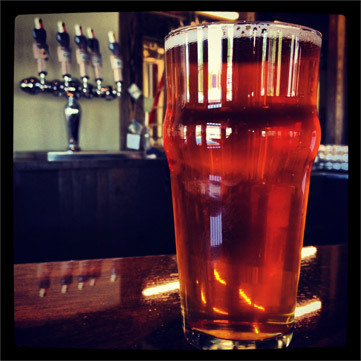 The American Imperial Red Ale rocks a massive hop character to match its full-bodied malt bill. Plus $1 of each pour is donated to the Baldwin County Humane Society! Section Street Wheat is a traditional German-style Hefeweissen brewed with organic pilsner and wheat malts and noble German and Czech hops. Unfiltered and unpasteurized, this straw-colored brew is cloudy when young and clears up with age. 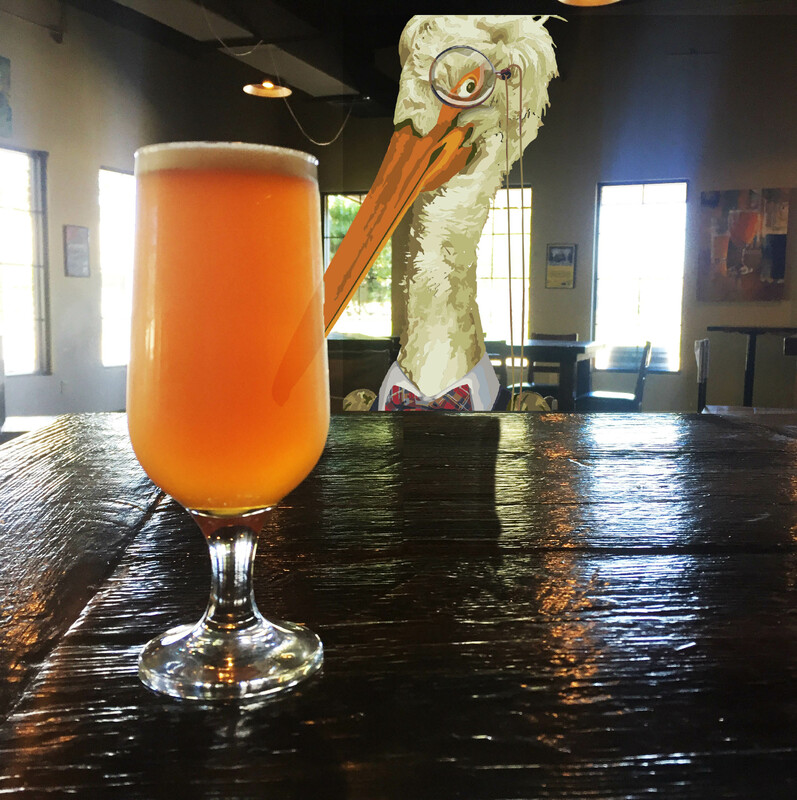 A recipe by our favorite brewery assistant, this White IPA is loaded with hops that give it a citrusy, almost tangerine flavor. Just in time for fall, South of the Porter will meet all your cool weather needs! 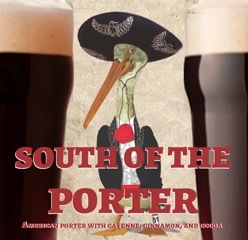 This American style porter was spiced up with cayenne pepper, cinnamon, and chocolate. Just the right amount of kick to bring a smile to your face. If you have ever been in the Birmingham area, there is a great chance you've been stuck in stand still traffic on Highway 280. 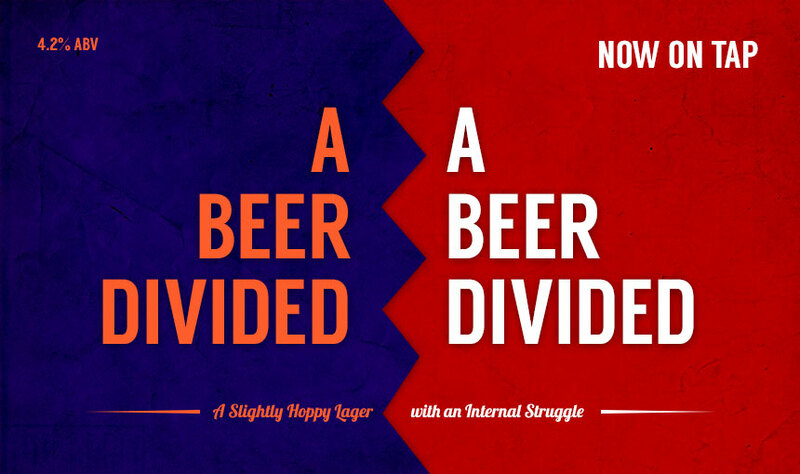 We thought about how miserable that is, then we made a beer based on the opposite feeling! This imperial ipa has a hazy golden color and a soft nose of sweet citrus and gooseberry. Flavor consist of light grassiness and ripe sweet stone fruits and summer citrus. Enjoy! A dark sour ale flavored with cherries and a hint of chocolate. The Big Show is a legit double IPA, checking in at a cool 9% ABV. This big beer was brewed with El Dorado and Azacca hops. The Big Show is the perfect brew to warm you up and hit that bitter note you've been looking for! The name says it all! For the making of this stout, we put actual king cakes in the mash. We also added plenty of vanilla and cinnamon to bring home that true Mardi Gras flavor. Of course, we took out the baby first! 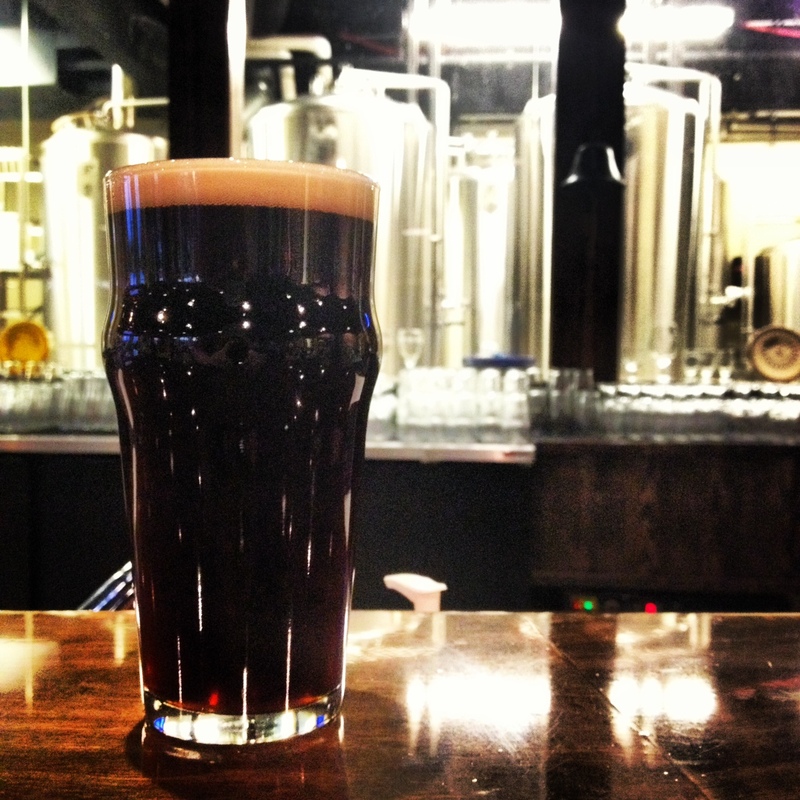 Painted Black IPA combines the dark-as-night color of a stout with the intense hop profile of an American IPA. Full of pine and citrus aromas and flavors, this brew is a reminder not to judge a beer by its color. Rad is possibly the most tart beer we have every had on tap. If you are into barrel-aged sours that will make you pucker, then this beer is for you. It's also available in single bottles to go. Sweet Potato Porter is just that. An Imperial Porter brewed with over 100 pounds of freshly puréed sweet potatoes, this fall brew will have you singing the song of the south. Sweet potato pie and now I'll shut my mouth. We started with our base where beer and added a heavy dose of tart cherry. The result is a fantastically tart, drinkable brew. And perfect for a nice afternoon under the happy little clouds in Fairhope. The Quiet Man, our second Holiday Small Batch beer, is a nod to Dan's fellow Irish Americans, and especially Cathal "Chuck" McGreal, proprietor of the Quiet Man Irish Public House in Peekskill, N.Y. Inspired by Chuck, who grew up in the shadow of Croagh Patrick in Ireland, this non-traditional take on the traditional Irish Red Ale uses a heaping helping of Centennial hops at the end of the boil, which provides a distinctly American flavor to this St. Patrick's Day treat. A blend of Irish and American ale yeasts pay homage to the millions of Irish immigrants who made the journey from their homeland to start anew in America. Served March 17, 2013. An American ESB with all the malt flavor of a brown ale balanced by the happiness of an IPA. A blonde barleywine that has notes of white grapes and red apples. 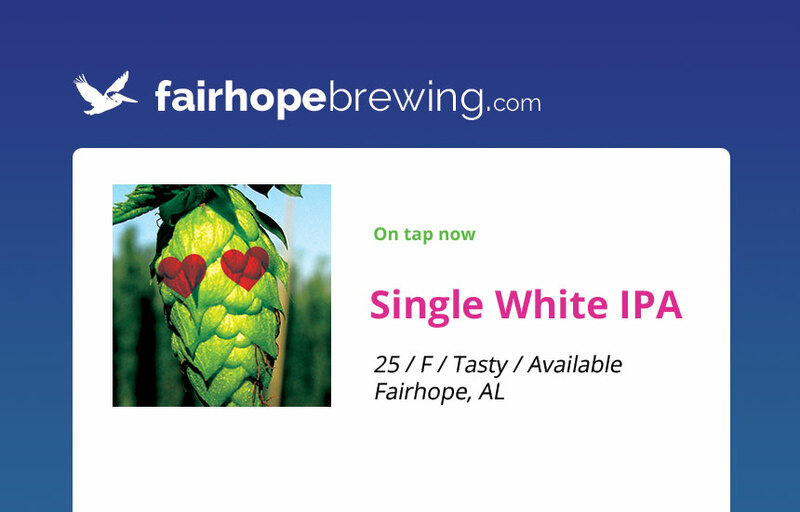 This beer will go on tap any time the low for the day in Fairhope is below 60 degrees. What's Updog? (pause for laughter) Updog is a double dry-hopped pale ale. This brew is very refreshing with a nice hoppy kick at the end. No joke. 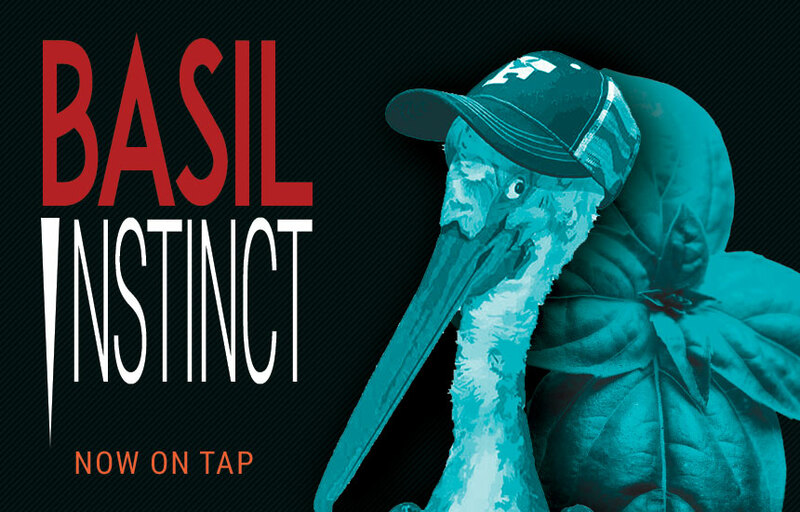 This beer was Gil's first ever brew on our 10-bbl system last summer, and now it's back! This pale ale is loaded up with some "C" hops like Citra and Chinook, then is given the perfect citrus touch with a large amount of orange and grapefruit zest. It's still hot down in Lower Alabama, and this is a great refreshing beer! This old school German wheat sour is our first ever distributed collaboration beer brewed on site. The nice folks from Cahaba Brewing Co. worked with us on the recipe and came down for the day to assist with the brew. The results is a light, drinkable sout beer with a hint of lemon, coriander, and sea salt. Many say it's the favorite beer of Ray Parker, Jr. If you have never gotten yourself lost driving around Mountain Brook, then clearly you've never been to the Birmingham area! 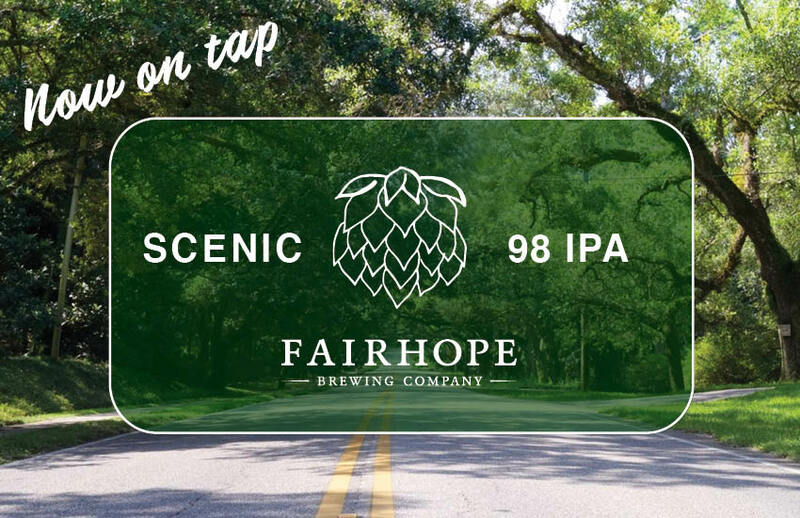 In our series of street-named IPAs, we decided this time to honor all those winding lanes and avenues in Mountain Brook. We're calling this one an imperial session IPA (which may sound like an oxymoron), but one sip of this and you'll see what we mean. It's got the lighter refreshing taste of a session beer, but all the bitterness and ABV power of an imperial IPA. Give it a try! 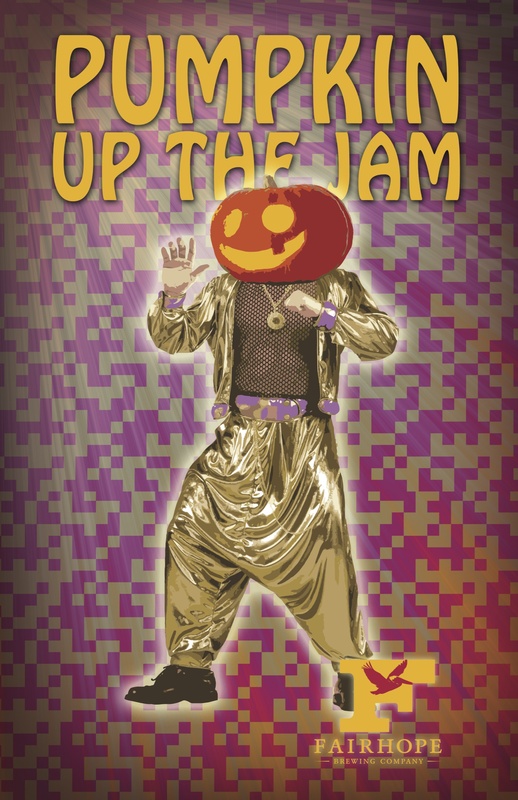 This 10-barrel batch of Pumpkin Up The Jam will surely get your booty on the floor tonight. At 6.5% ABV, this fall-weather sipper is brewed with 80 pounds of pumpkins in the mash and is flavored with a custom blend of spices for an extra kick. 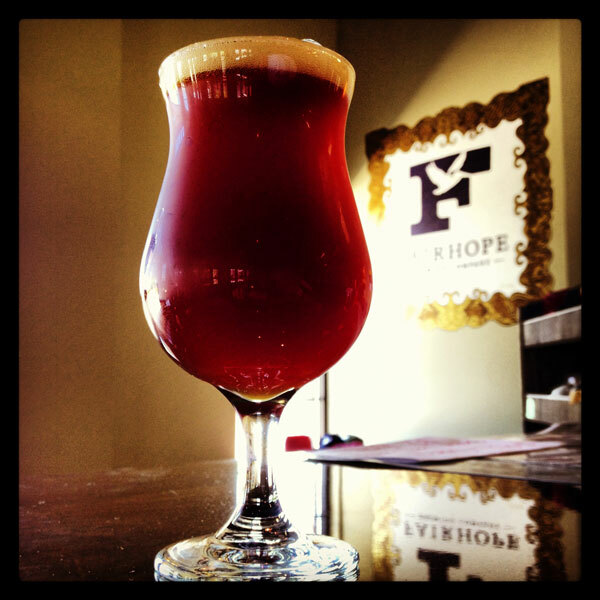 This golden sour ale is flavored with large amounts of blackberry and sumac. The lemony flavor from the sumac pairs perfectly with the blackberry, giving you a drinkable, slightly tart beer that is perfect for some outdoor drinking. Aged with vanilla beans in oak barrels, Queenslayer is a stout that is less than 6% alcohol, but has the complexity of a much bigger beer. This blonde barleywine was aged in Buffalo Trace bourbon barrels for months and is the perfect representation of our 5 years in business! It's got all the booziness you want in a barleywine, plus the subtle oak flavor from the barrels. If you have ever had the displeasure of getting stuck or turned around up at the 65/20 junction in Birmingham, then this could be the beer to amen you forget about that. Malfunction Junction is a grapefruit IPA with the perfect mix of hops and citrus. Stay out of traffic and come enjoy one of these! We took our Causeway IPA base and added blood orange puree to it. It is just that simple... and the result is exactly what you would expect. Juicy, fruity, hoppy, delicious. "I drink your blood orange IPA; I drink it up!" We've waited quite a while to find a beer worth of being called the Hiphopopotamus, and this one fit the bill. This hazy, juicy east coast style IPA has a great flavor full of hops and citrus. 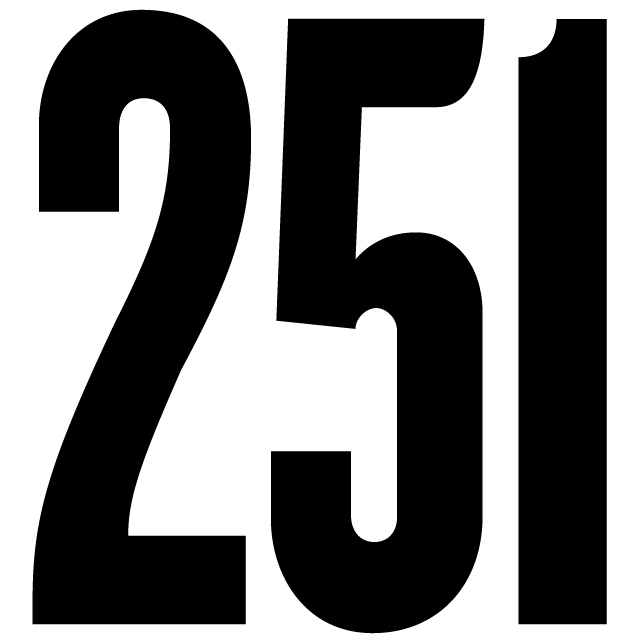 Enjoy it while it lasts! From the brewery that brought you Hiphopopotamus hazy IPA, we bring you it's partner on the stage: Rhymenocerous IPA. The Rhymenoceros IPA is our first true zero ibu ipa. Hazy, creamy, and bursting with lemon drop and cashmere hops. All the citrus flavor you love with barely any bitterness. Wolfman is a very popular option from our Top Gun themed sour series. The particular dark sour was made with raspberry and rhubarb and hits all the right notes. 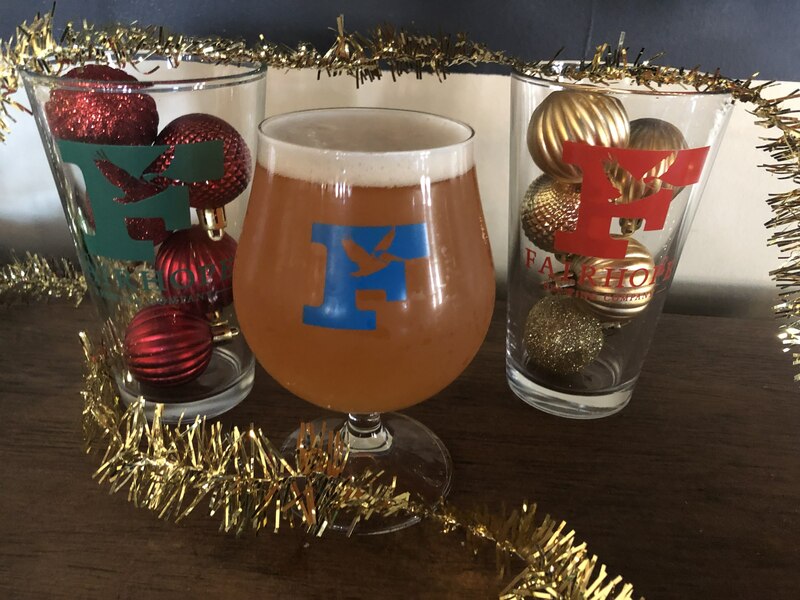 Get out your Nepalese coins and try our holiday ale. We aged this imperial stout in Wild Turkey barrels and then added orange peel and nutmeg for the perfect holiday dark beer. This beer is on tap and in 22-ounce bottles to go. This session IPA was inspired by Michael Bolton's legendary performance in the Lonely Island "Jack Sparrow" song. Plenty of cashmere and chinook hops will allow you to quickly taste the good part!